Inspired by Liguori’s love of travel, sports, animals, and connecting with people all over the world. Dune Jewelry, the Original Beach Sand Jewelry Company,® has recently come together with Sports Radio & Television Personality, Author and Golf Correspondent, Ann Liguori, to collaborate on a special collection of jewelry. The Hamptons Collection was inspired by Liguori’s love of travel, sports, animals, and connecting with people all over the world. The stylish rope detail adds extra distinction and elegance to each design. The Collection currently consists of six items including a necklace, earrings, cuff bracelet, cufflinks and statement ring. Each and every piece is customized and handcrafted with unique experiences in mind. The Hamptons Collection retails from $90 to $260. Each design can be customized with a sentimental element or actual sand from your favorite beach or travel adventure. Dune Jewelry is a keepsake, collectible jewelry line built around the celebration of experiences providing golfers and enthusiasts with a creative new way to showcase their memories. Handmade in the USA, Dune Jewelry’s patented designs are exclusively manufactured in their Boston, Massachusetts studio, created with sand and natural elements from thousands of locations around the world, including beaches, ball parks, hiking trails and even sand from bunkers or grass from legendary golf courses. Ann Liguori is one of the nation’s top sports radio and television personalities. She is also an author, reporter, philanthropist and businesswoman. Ann will be covering her 20th straight Masters for WFAN Radio April 5-8. Ann is the Founder of the Ann Liguori Foundation and each year hosts a charity golf tournament benefiting cancer research and prevention. The 20th Annual Ann Liguori Foundation Charity Golf Classic will be on Monday, June 4 at Atlantic Golf Club in Bridgehampton, New York. Founded in 2010 by kitchen table entrepreneur, Holly Daniels Christensen, Dune Jewelry, is the Original Beach Sand Jewelry Company® creating Experiential Jewelry® by capturing your most cherished memories and experiences with sand and natural elements from around the world. Handmade in the USA, Dune is the perfect time capsule for all of your golf and travel adventures. Dune's Sandbank® offers thousands of sands and locations worldwide, you also have the option to send your own memory. Dune Jewelry has created a unique line of collectible jewelry with meaning that captures your favorite memories and awakens your inner adventurer. The idea? "Live for the moment, then take it with you! "™ All Dune Jewelry designs come with a lifetime warranty and a portion of every purchase is donated to various coastal preservation organizations. Dune Jewelry was named 2016 Small Business of the Year – Woman Owned, by the Small Business Association and the company ships to over 800 retailers worldwide. Dune Jewelry Dune Jewelry Hamptons Collection - Rope Stationary Necklace.A simple and chic rope border adds nautical charm to this beautiful .925 sterling silver necklace that fits 16"-20" in length . Co-created with Ann Liguori, personalize yours with sand or natural elements from thousands of locations in our Sandbank. 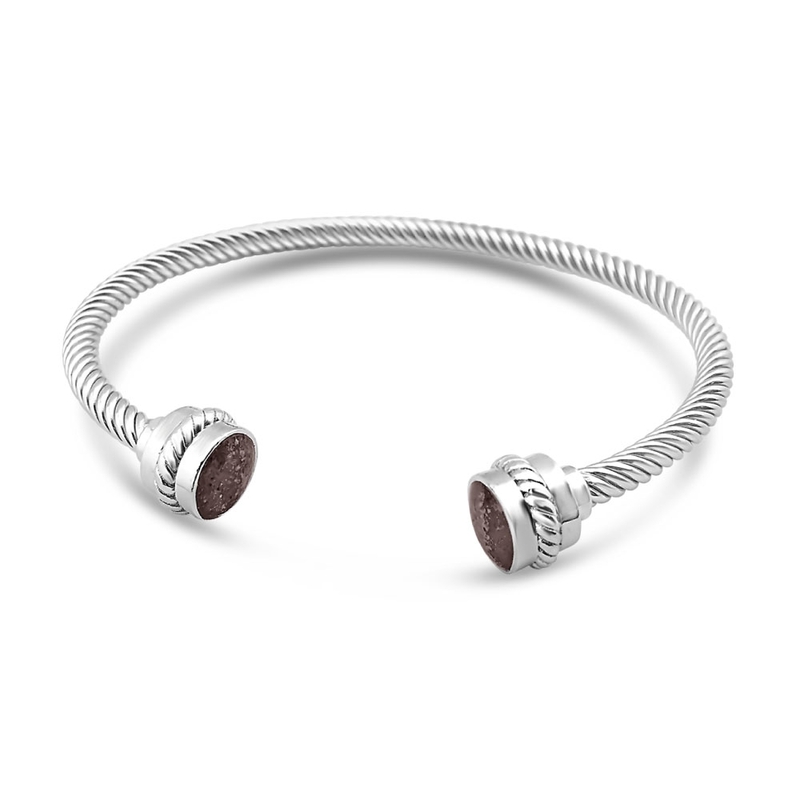 Dune Jewelry Hamptons Collection - Rope Cufflinks.An elegant rope border gives these custom, .925 sterling silver cufflinks a little extra Hamptons flair. 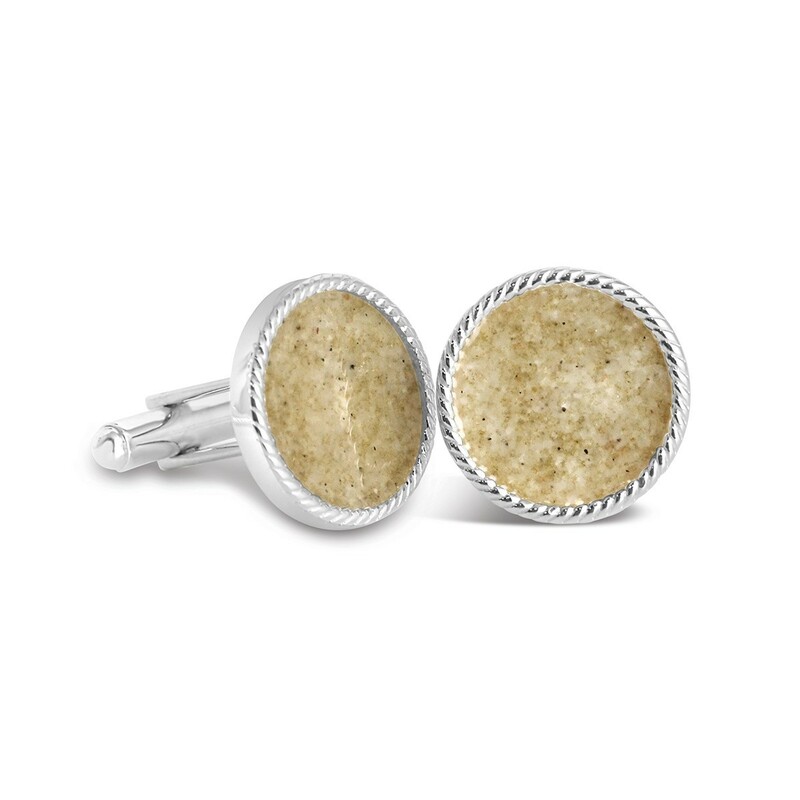 Co-created with Ann Liguori, these cufflinks are a perfect gift filled with sand or natural elements from his favorite place. Dune Jewelry Hamptons Collection - Rope Cuff Bracelet.Elegantly crafted with rope detail in .925 sterling silver, this beautiful cuff bracelet is a favorite of co-creator, Ann Liguori. Create your cuff with sand or natural elements from your favorite beach, golf course or ball park.